Last weekend my boyfriend and I spent the night away in Leeds, a city I feel like I can never spend enough time in. 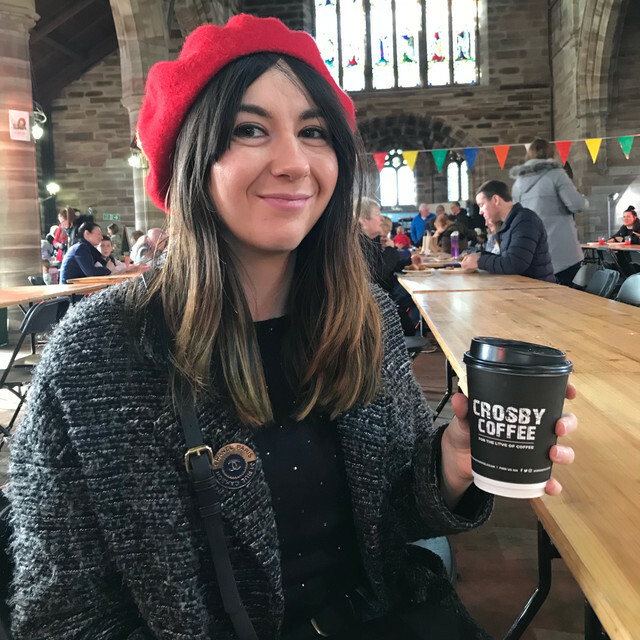 Between going to a gig, sipping hot mead at the adorable German Christmas markets, and checking out all of the beautiful contemporary art spaces (the Tetley is a wonderful use of an iconic building), we had breakfast at Riveresque Cafe. Located right before the bridge on Bridge End Street, Riveresque is a bustling little cafe that overlooks the Leeds/Liverpool canal, and serves a Full English that will set you up for a full day of exploring. We arrived at around 11am and took a seat downstairs, nabbing the last vacant table. The table opposite us had a prime view of the canal, but it was still relaxing to watch the Leeds taxi boat, drive up and down the water. Riveresque boats a simple but extensive menu with both breakfast and lunch options. The food can be eaten in or taken away, and judging by the long queue, is a popular spot in the city. Jon and I both opted for the Full English (£4.75), not feeling up to the challenge of the Riveresque Mega Breakfast (£7.75). After a short wait, our food arrived and my mouth immediately started to water. A classic Full English, and exactly you need to start the day if you’re feeling hung-over or not. They also have huuuuge bottles of Heniz tomato ketchup, which is a true sign of any good breakfast establishment worth visiting. Everything was hot and fresh, and went down a treat before a day of exploring. As we where leaving, there was a queue almost out the door, which can only be a good sign of somewhere to eat. Riveresque Cafe have a website you can find here and a Facebook page. They are also featured on the Leeds List website, which is a wonderful website if you’re planning a trip to the city.